The Common Application has changed this year!! If your son or daughter will be starting senior year of high school this fall, this hands-on workshop is for you! 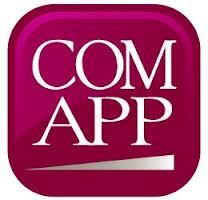 The Common Application will be open to rising seniors as of August 1, 2013. Don’t let them wait until school begins to get started on this important step in the college application process! Magellan College Counseling will be hosting a Common App Boot Camp on Saturday, August 3rd from 1 to 3:30 pm, and Sunday, August 4th from 3 to 5:30 pm. Send your senior with his/her laptop! We’ll open our Common App accounts, fill in the basic information, get started with putting colleges onto our lists, and get our first look at supplemental essay requirements. Getting this information into the Common App will save valuable hours down the road when schoolwork and extra curricular activities become demanding. This hands-on working session is open to rising seniors only (no parents necessary!). It is FREE for Magellan College Counseling comprehensive clients, and $150 for all others. Space will be limited to 12 students per session. A great way to kick off college application season! Please fill out the information below and we will contact you regarding location and payment information.